There is an entire study that deals with first impressions. People can develop entire opinions about a person just by looking at him or her. That person doesn’t even have to say anything, and people have the habit of thinking they know exactly what that person thinks about different topics and they are prone to passing judgment. I am not saying that this is a good and adequate way of developing opinions about anyone, but I am saying that this phenomenon is very present. Naturally, it is also present in the business world. When a person is being interviewed for a job, a first impression can mean a lot. That is why you have to take special care in what you look like when you enter the door to the job interview. This can be done in various ways. First of all you should be well rested and confident. If you didn’t sleep well the night before the interview , you can leave an impression of a badly organized person. It is highly advisable that the day before the interview is not spent in panicking and stressing, but in resting and enjoying leisure activities. The period before that day should be spent in practicing your interview skills. This can be done in various ways, for example, with a spouse, or a friend, or even in front of a mirror. If you do all this, when you enter the door to the interview, you will look like a preferable applicant and you will improve your interview success rate. Secondly, you should pay special attention on what you will wear for the interview. The clothes that are most preferable in order to improve the overall first impression differ from office to office. You should ask around and see what the dress code of your potential future working environment is like. That way you will know if it is more advisable that you dress formally (for example, in a suit) or casual (for example in trousers and a shirt). Thirdly, you should keep in mind that your overall posture is very important. The way you stand and even the way you walk is very important. This tells a lot about a person, when first impressions are concerned. Finally, when you shake your employer’s hand, be sure that that handshake is firm. Also, remember to maintain eye contact. That way you, and your body language state that you are a confident person, and a good choice to fill the position you are applying for. 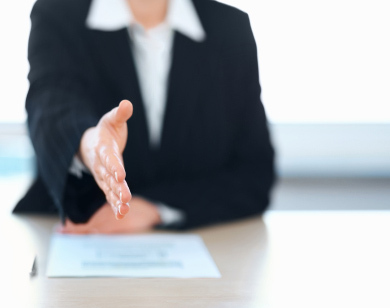 To sum up, first impressions at a job interview can go a long way. Some employers evaluate the first impression you make very thoroughly and consider this a very important aspect in the whole job interview process. After reading all this, a person can conclude that it is not only important to know all the necessary information that is considered with the job itself, but it is also important to know that a first impression is also very important. About the author: Damian is a small business owner and online marketing expert. He currently works on http://www.skyerecruitment.com/ project. Next Just how much money do paid parking lots make?